The quality and variety of food in South East Asia is amazing and I’m happy to have discovered that Vietnam doesn’t let the SEA team down. 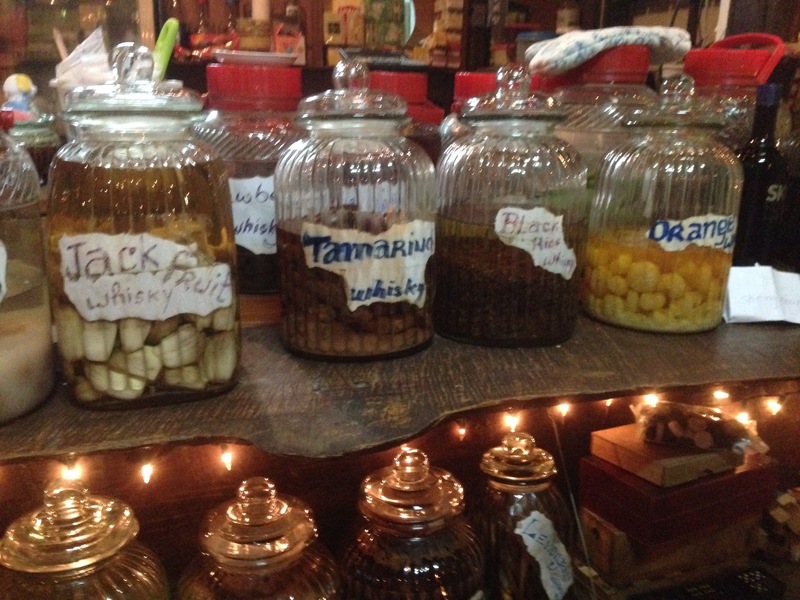 With so many different traditional foods on offer I found it very difficult to choose every time we sat down to order. 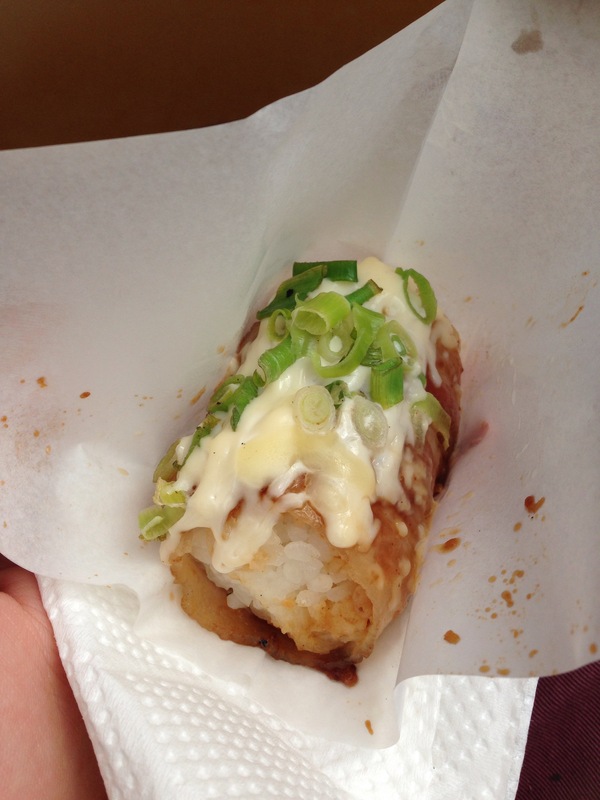 Here are a couple of my favourite dishes I discovered during my four weeks of exploration. This stuff is everywhere. 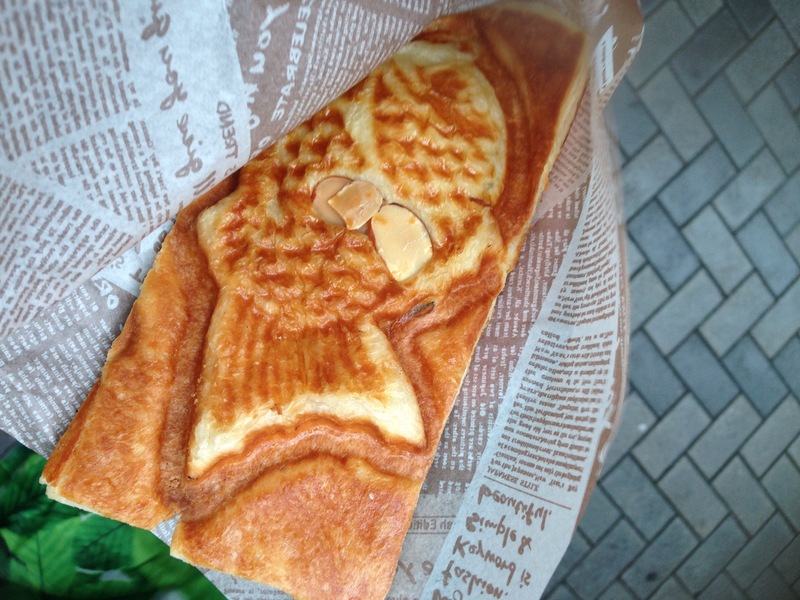 It is typically eaten for breakfast but you can usually find it somewhere throughout the day. 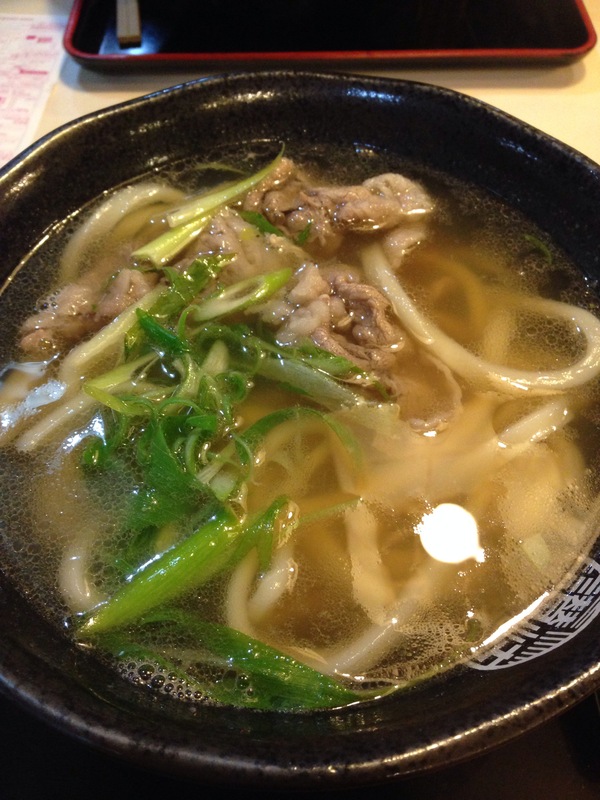 Thin slices of beef are stewed with a delicious broth and served with rice noodles. Very tasty. 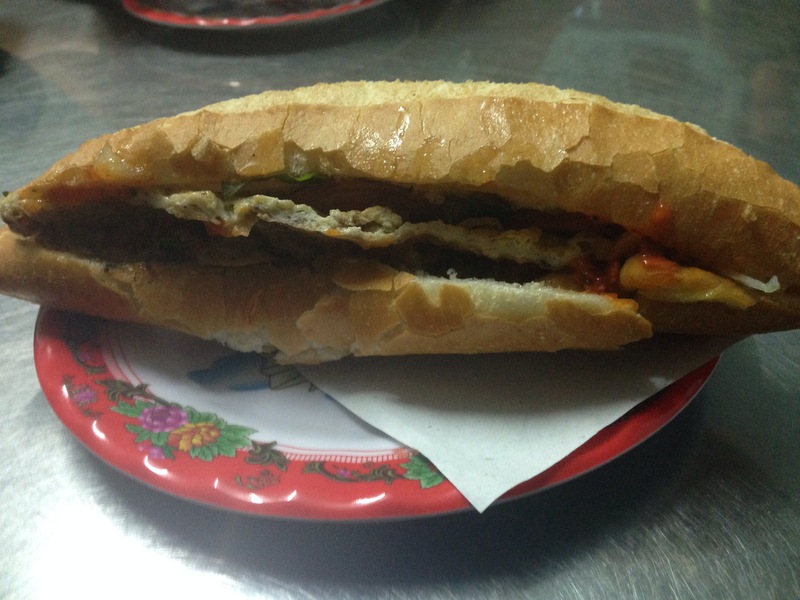 I tried Cao lầu a couple of times in Hội An. 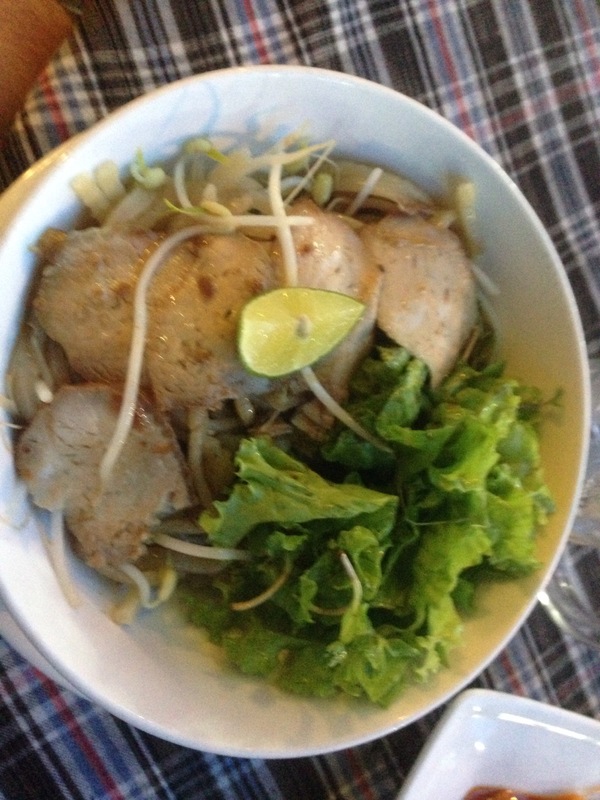 It’s a local dish made with fat noodles, pork, bean sprouts and green veg (usually green onions and a leafy veg). 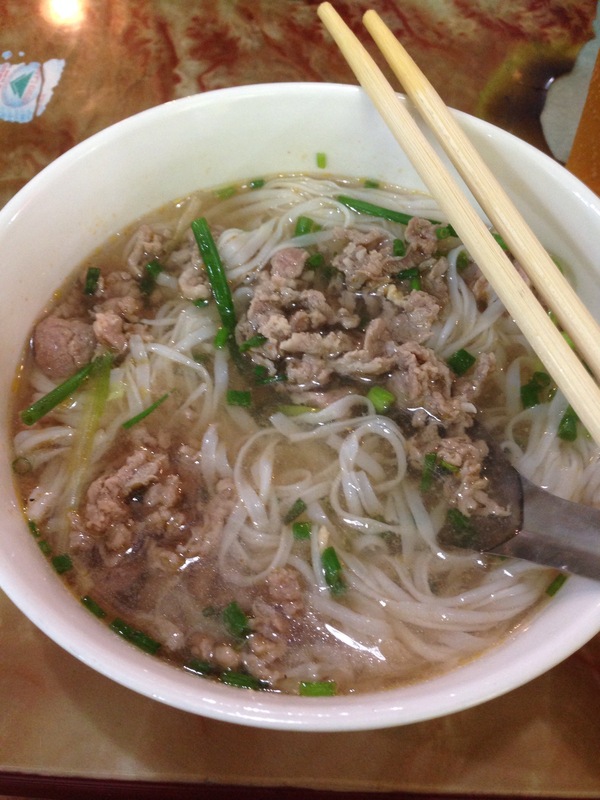 Unlike most noodle dishes cao lầu isn’t swimming in a bowl full of watery broth, which makes a nice change. The flavours are delicious as always. As is the thinly sliced seasoned pork. It’s also ridiculously cheap. These are everywhere and make a really nice change to the staples of rice and noodles found everywhere else in South East Asia. Banh Mi is basically a sandwich made in a crunchy white baguette. Inherited during the French occupation, these crunchy snacks are usually filled with an assortment of dried and cured meats and pâtés or fried eggs and laughing cow cheese. Nom. 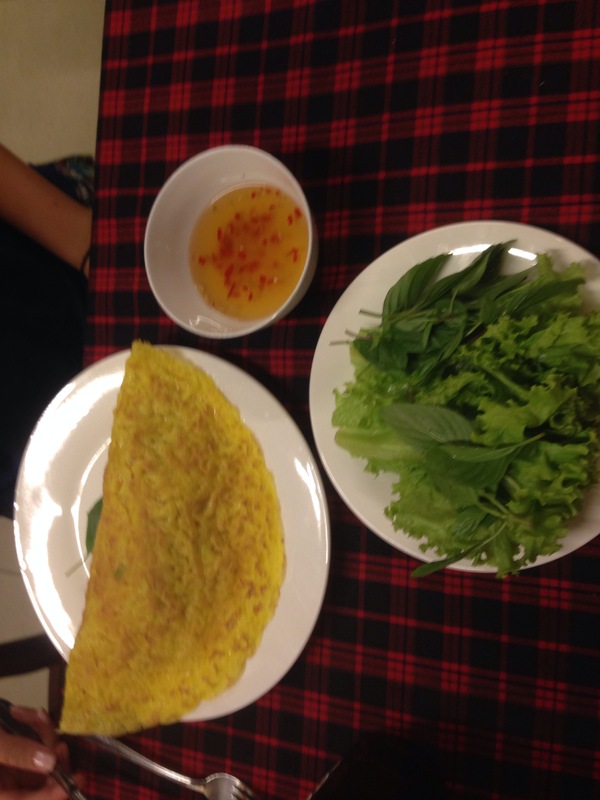 Think of a greasy pancake filled with bean sprouts, onion, pork and shrimps, served with leafy veg and Vietnamese basil (which has a strong menthol flavour). This is really delicious when dunked in fish sauce. This is very similar to Cao Lau. 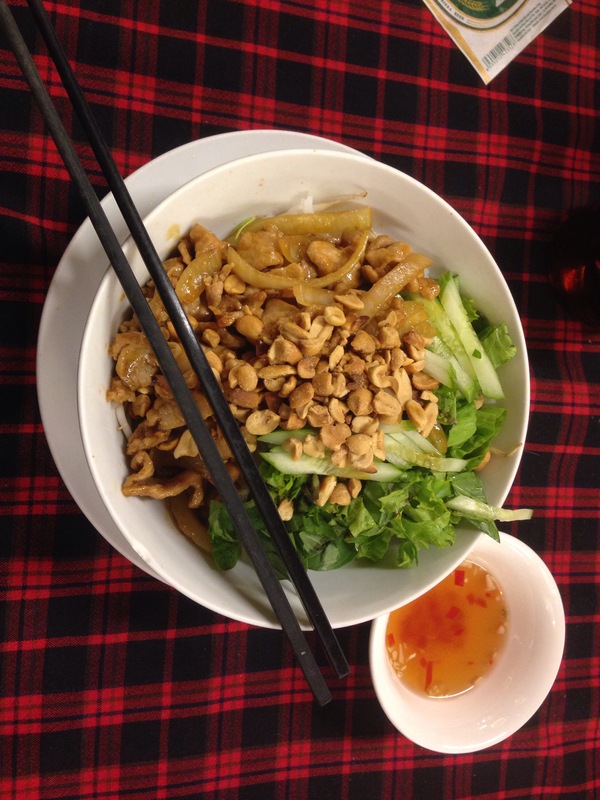 Rice noodles are topped with grilled pork, bean sprouts and green veg. My favourite deviation is the addition of roasted peanuts. I love peanuts! It is served with fish sauce. 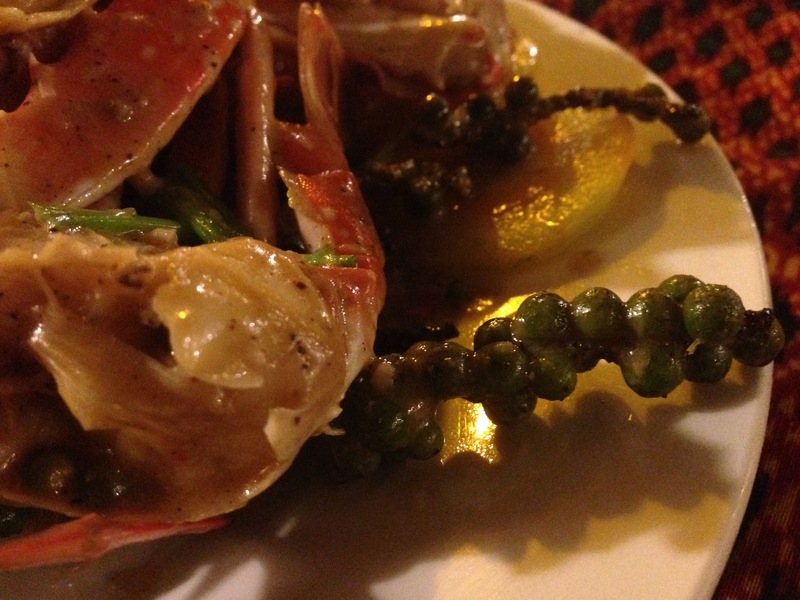 It turns out Kep is a completely brilliant, hidden gem in Cambodia, famous for not only its crab but also its peppercorns. Enter the most delicious seafood dish I have eaten in my entire life. That’s not even an exaggeration. Welcome to Kep. It is situated about 30 minutes south and down the coast from Kampot, also a beautifully sleepy town and popular amongst the backpackers. You may have heard of Kampot as it is home to geographically protected Kampot peppercorns, who proudly brandishes the title of “World’s Best Pepper.” However Kampot’s famous peppercorns are actually grown in Kep. 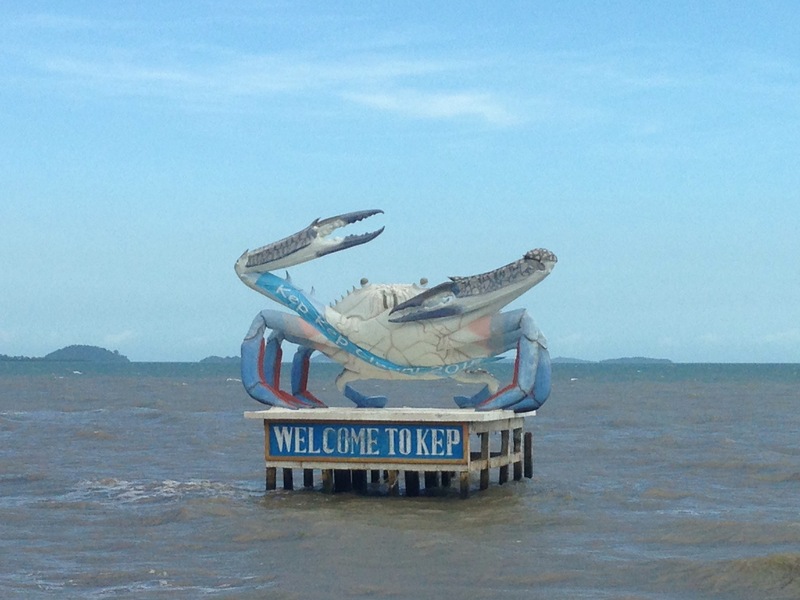 Kep is a coastal town and fishes blue crab fresh out of the sea daily and in abundance. 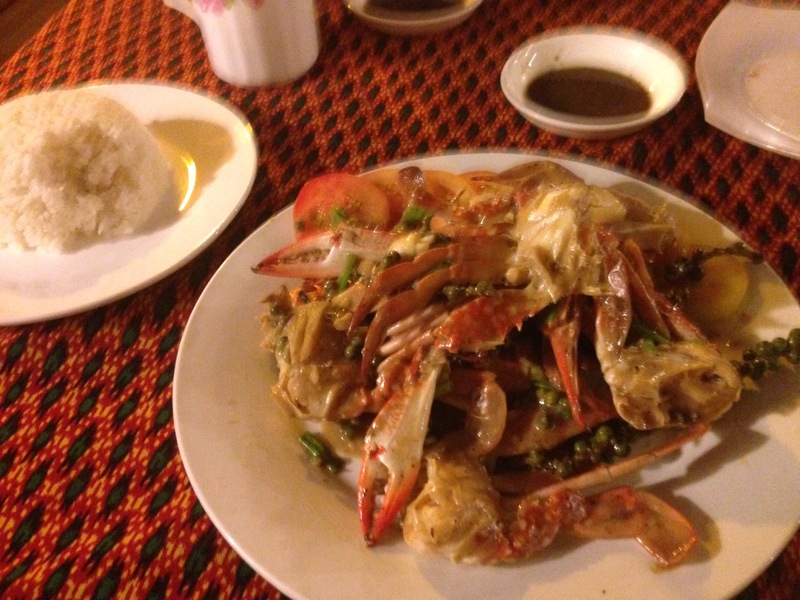 The locals have combined these two fantastic ingredients to create my new favourite dish- fried crab in peppercorn sauce. Trust me, this is something else! 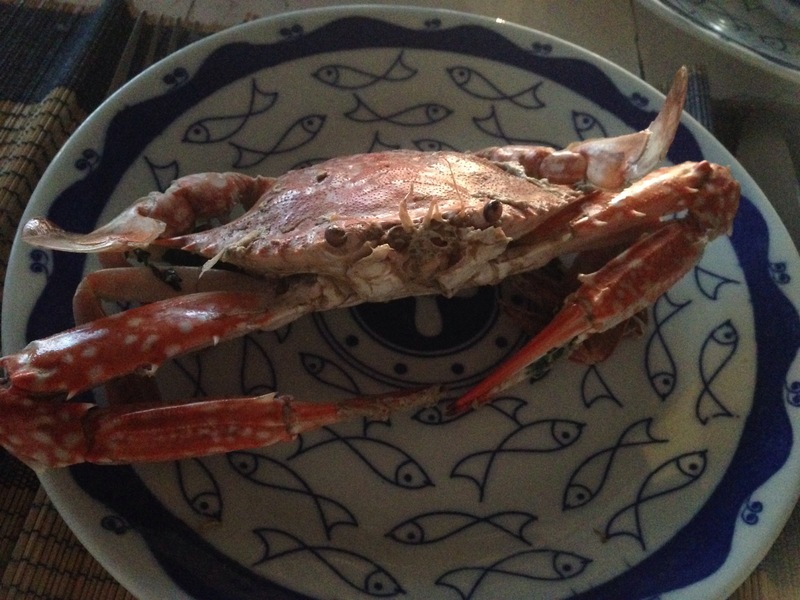 For just $7.50 you can get a kilo of crab, plucked fresh out the sea before your very eyes, cooked and pan fried in the most amazing cream and green peppercorn sauce. It is served with a mound of rice and Kampot’s favourite peppercorn dipping sauce (also incredible-recipe below). This is the epitome of fresh food. 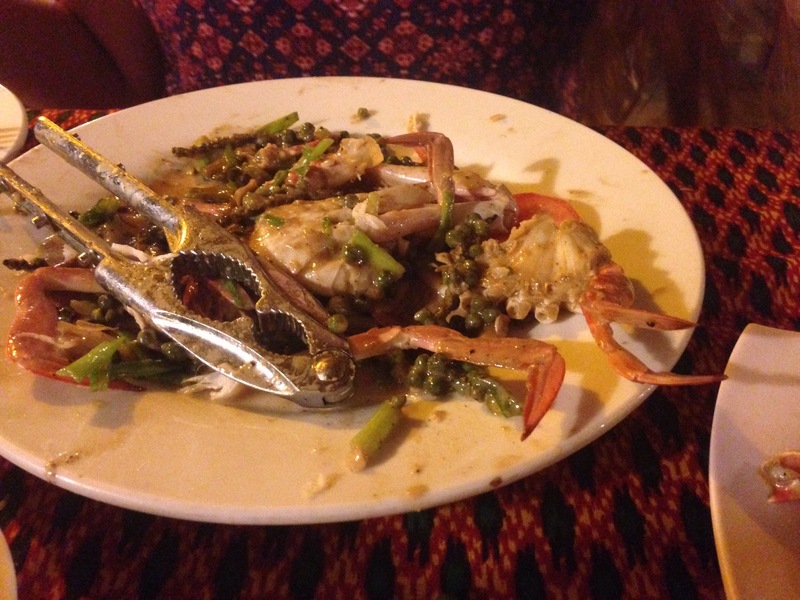 Crabs from the sea and green peppercorns from the plantations mere kilometres up the mountains behind you. If a sit-down restaurant style dish isn’t what you are after then the crab market (situated next to the restaurants) may be your kind of place. $5 will get you a kilo of crabs and a lady will cook them for an additional $2.50. You can’t complain. This is a must try. Easy and delicious for dipping seafood and BBQ meats. 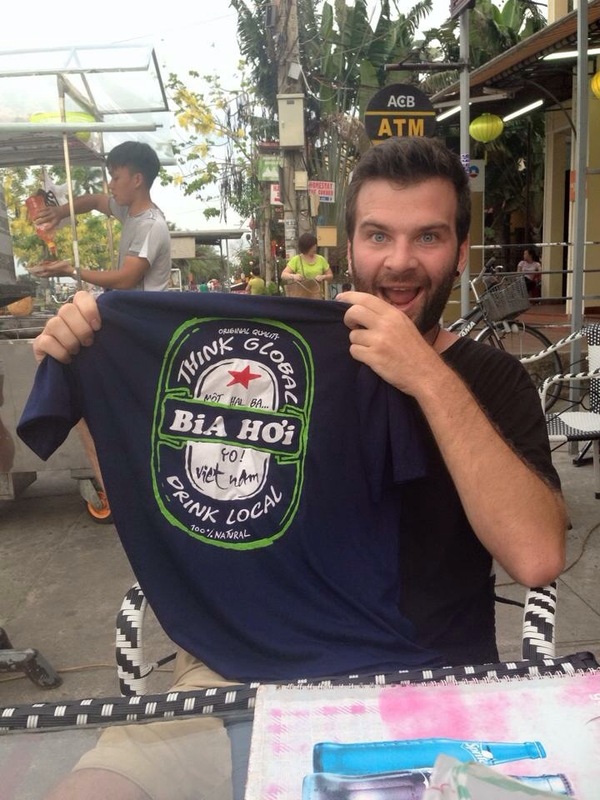 Bia hơi- ‘think global, drink local.’ That’s the moto here in Vietnam. I even have the t-shirt to prove it. I have found it. The holy grail. 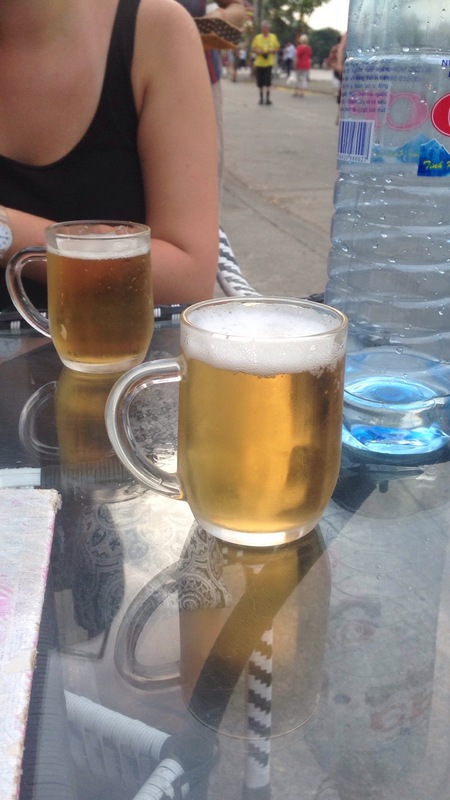 The cheapest beer so far in my nine long months of trotting the globe. Bia hơi, bia hơi, bia hơi! But what is it? Bia hơi is what would exist in every pub, club and restaurant in the free world if government taxes, health laws and alcohol restrictions didn’t exist. 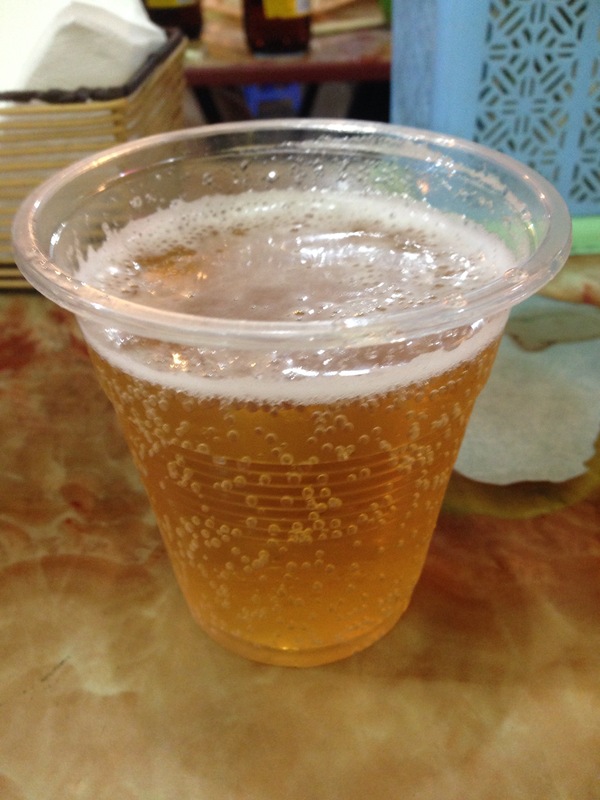 Bia hơi (hơi meaning gas, and bia coming from the French bière) is essentially home brew. The beer is made daily, matured for a short period of time and once ready, served fresh and consumed on the day. It’s fresh. It’s cheap. 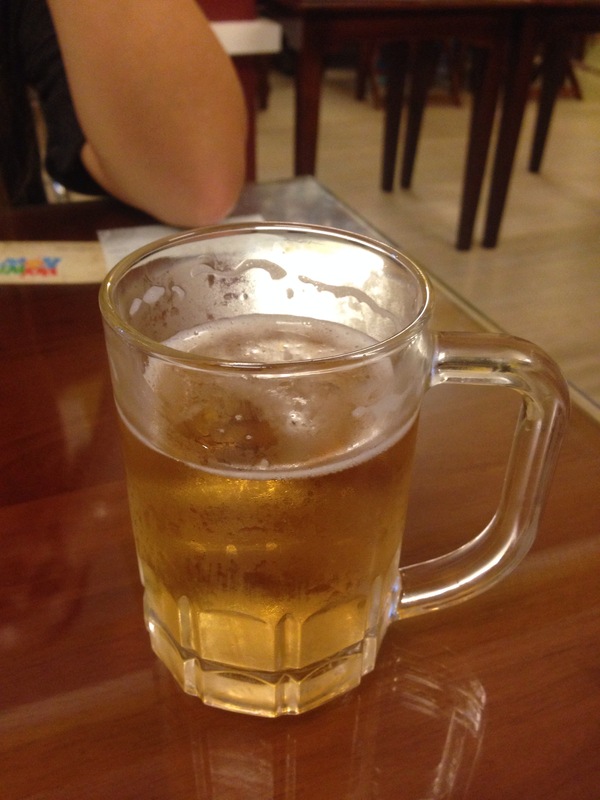 It’s beer. The cheapest I found was 3,000vnd (9p) and the most expensive was 10,000vnd (30p), and that was expensive as things went. The only downside to bia hơi is that it can sometimes taste a bit quirky and it isn’t particularly strong. It averages at about 3-3.5% max in strength. It’s a little like drinking light American beer, which may offend the beer connoisseur but is absolutely fine in my eyes, when all it costs is 9 pence a glass. Who cares if it’s weak. It’s cheap, so drink more. Feeeeeed that beer belly!!! Seven is the magic number…Right? I know this is very late. I actually wrote this back at the start of April whilst in Bangkok. I have a lot of catching up to do. But for now here is what we got up to in month 7. I’ve made it picture heavy to make up for tardiness. Month seven has been a busy one. Four flights and four new incredible destinations. First up was Bali. I have nothing but love for Bali and Indonesia. What an incredible place. We started in the mayhem of Kuta. Walking along the road and dodging mopeds was pretty daunting at first but we quickly got the hang of it. From Kuta we took a bus to Ubud. Here I was introduced to the Eat, Pray, Love experience which consisted of a very hot and sweaty induction session of yoga. The monkey forest was amazing and the food was delicious. We got very cultural and even went to watch a Balinese fire dance thing. Ubud is really cool. It’s a lot more chilled then Kuta. And… drum roll please… there are pavements!! It’s surrounded by lovely rice paddies which are also worth a walk amongst. I’d love to go back there one day. From Ubud we took a rather posh boat to the Gili Islands. Wow! Paradise. Of the three islands I think I preferred Gili Air. Gili Meno was too quiet and Gili T was verging on too busy. Gili Air was the perfect middle ground for relaxing with a cocktail on the beach and snorkelling with turtles. Bali was so much fun. Cheap food, drink and accommodation, which is amazing for what you pay. Back in Bali we took a flight to Kuala Lumpur. 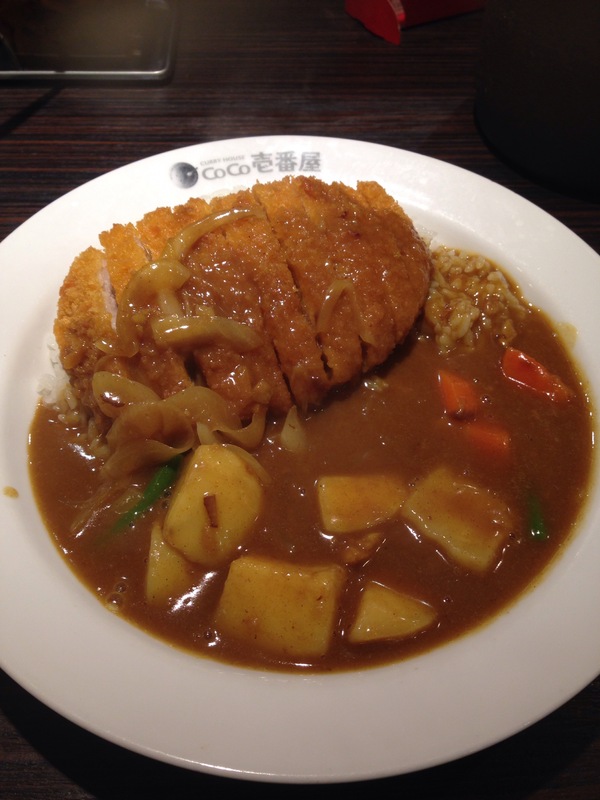 We only went to KL to break up our journey to Hong Kong but we were pleasantly surprised. It is full of huge, posh shopping malls (one with a theme park inside), which on our budget are nice for window shopping. 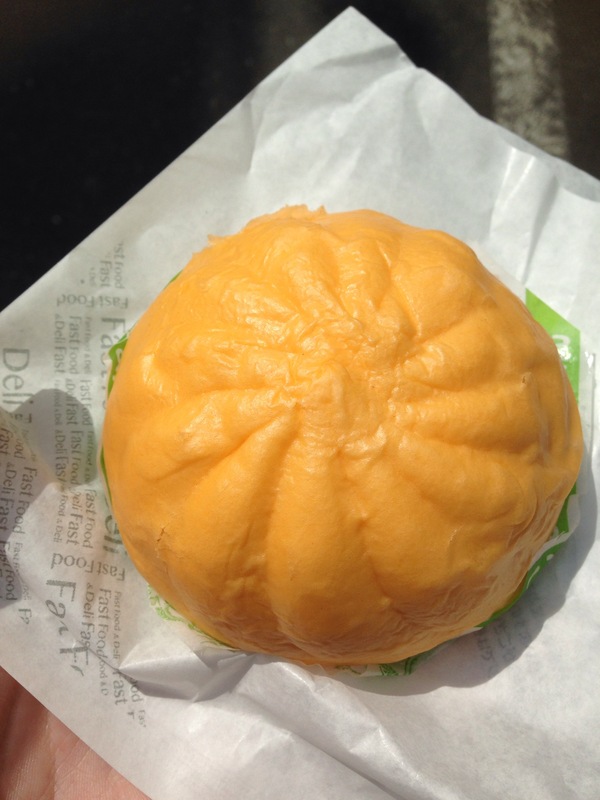 There are some great, cheap food courts too. The Petronas towers were pretty impressive and look great whilst enjoying a cocktail at the Sky Bar. From KL we flew to Hong Kong. Here we stayed in my godfathers flat which was life saving. It was in such a great location and was a nice break from hostels. Being able to cook breakfast and watch telly in the evening was fun. Hong Kong itself didn’t disappoint. I’d been before when I was 17 but it was really nice to refresh my memories. We managed to pack a hell of a lot into the 5 days including the Ten Thousand Buddhas, Stanley market, Ladies market, Temple street night market, Big Buddha, Tai O, Victoria peak and Disneyland. We walked a lot, got very comfortable with the MTR and ate and drank plenty. Including some very cheap Chinese rice wine from the supermarket. After brushing up on our Kung Fu (Kill Bill 1 & 2, Kung Fu Panda and Rush Hour) we felt ready to tackle the art of the samurai and so boarded our flight to Tokyo. Japan was incredible. Before arriving we pictured Tokyo as this crazy futuristic metropolis and in ways it was. But it’s also full of small, friendly ‘micro cities’ where architecture boarders on communist. The cherry blossom however really brightens up the streets. We couldn’t believe our luck with our timing. 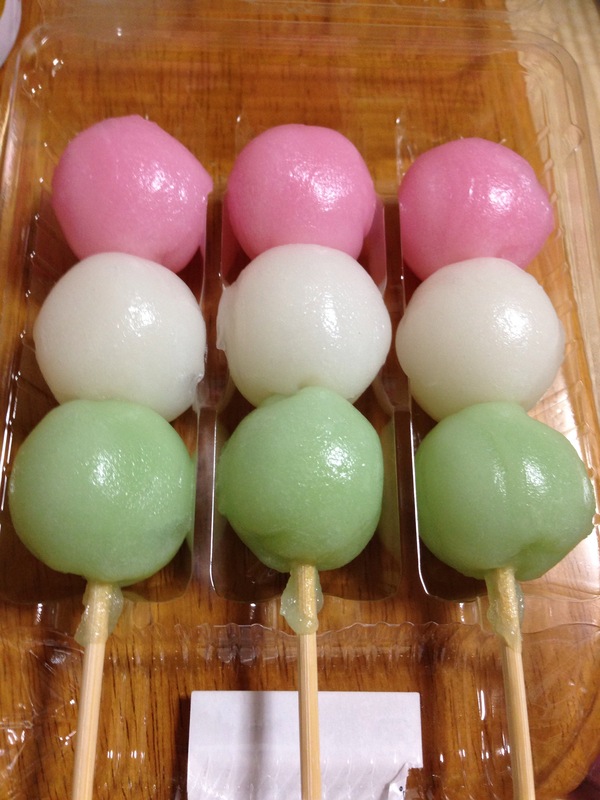 Cherry blossom or ‘Sakura’ season only happens for two weeks out of the year and we landed slap bang in the middle. The streets and parks were lined with food stalls, people sitting around and strolling up and down the canals drinking and being merry. It was like one huge party and it was incredibly cool to be a part of it. Our route in Japan went Tokyo-Kyoto-Hiroshima-Osaka-Koyasan-Osaka. Watching a Geisha Cherry Dance. 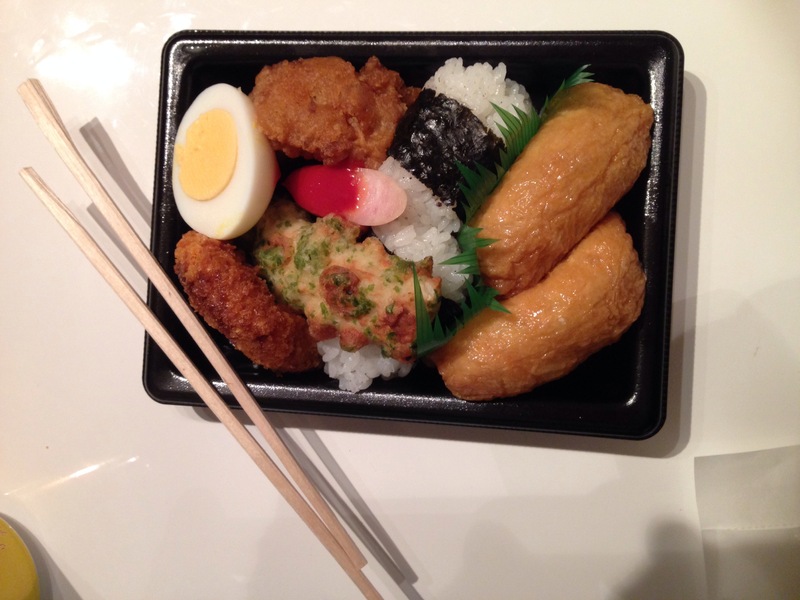 Our very hungover Onsen experience in Tokyo. An onsen being a huge public hot bath where one bathes naked! Sleeping in a capsule hotel. The toilets. Yes they are from the future. Month eight to follow shortly. Stay tuned. 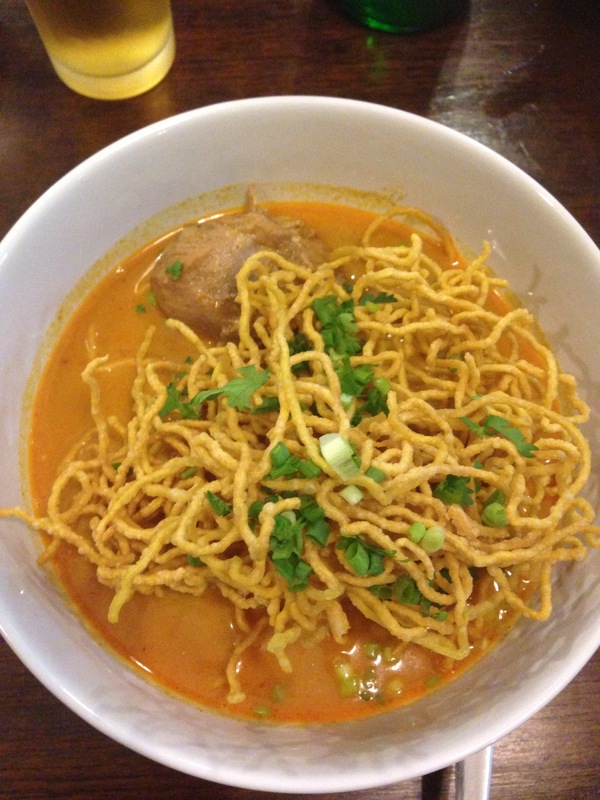 Khao soi (pronounced Cow soy) has got to be one of my favourite Thai dishes. This dish is popular and widely available across Northern Thailand and Laos, and it’s bloody amazing. It’s like all the best things mixed together in one tasty bowl. Picture this; a bowl of coconut chicken Thai curry, boiled egg noodles and shallots topped with deep fried crispy noodles, coriander and green onions. My mouth waters as I describe it. It truly is sensational. The flavours are classically Thai and the mixture of boiled noodles and deep fried crispy noodles creates an incredible blend of textures in the mouth. 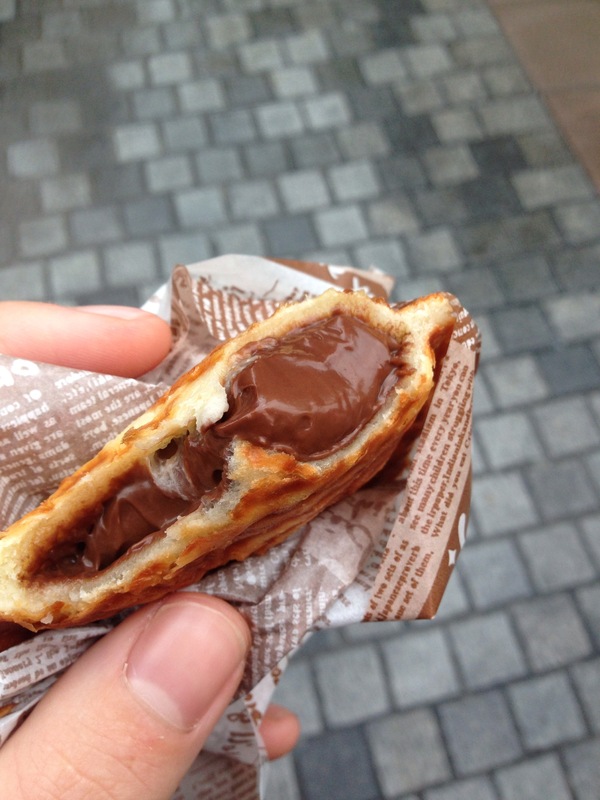 It’s available at most street food stalls and is very cheap. Or you can splash out and get a posh version in a restaurant. I tried both and to be honest the street version is just as good. 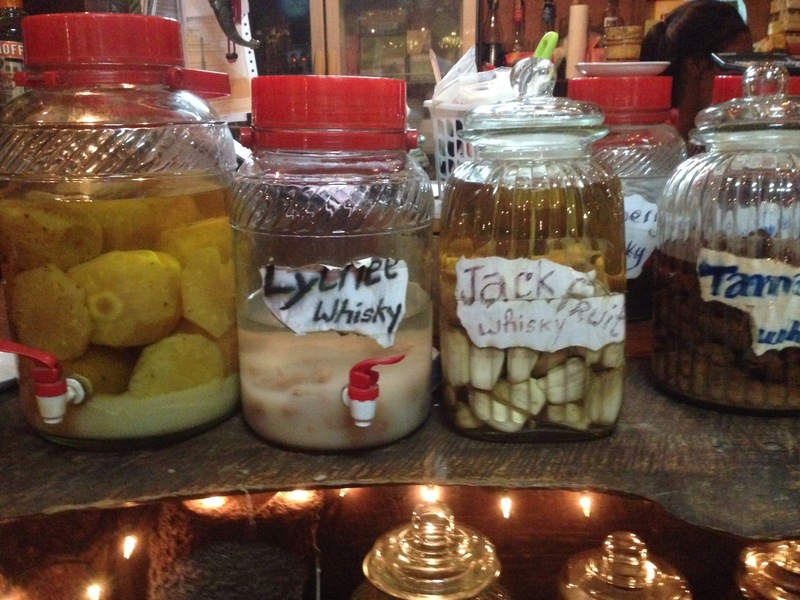 Laos seems to be very fond of the home made whiskey and vodka. A lot of bars tend to give the option of having your drink mixed with the local stuff instead of the premium global brands. The local stuff is cheaper and with the ratio of spirit to mixer (about 70% spirit to mixer), after sinking a couple you’re not bothered. 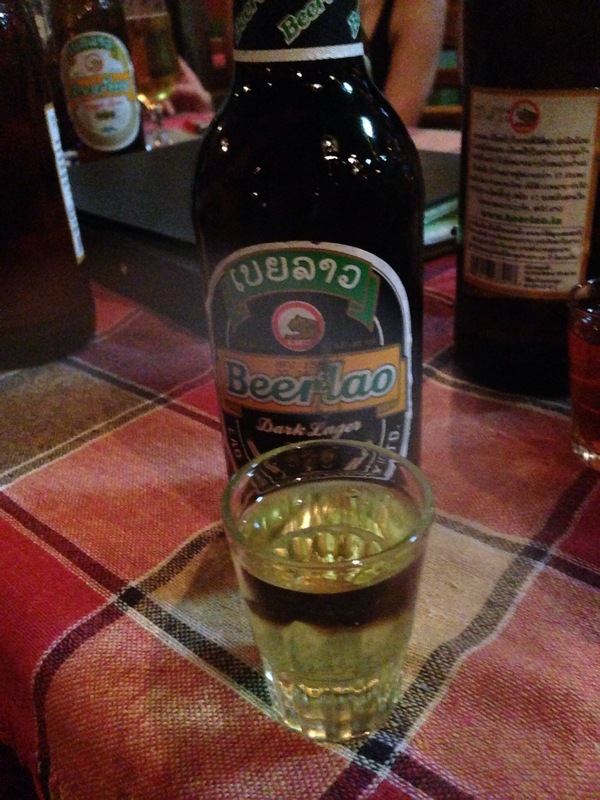 They mix them strong in Laos. You can buy the Laos whiskey in the shops and whole 700ml bottles at the bar. The whiskey will set you back about £4 which is insanely cheap considering a 700ml bottle of Pepsi to mix it with costs around £1.50-£2. Spilt with a couple of pals and you’ve got a fine night on your hands. Not bad eh? 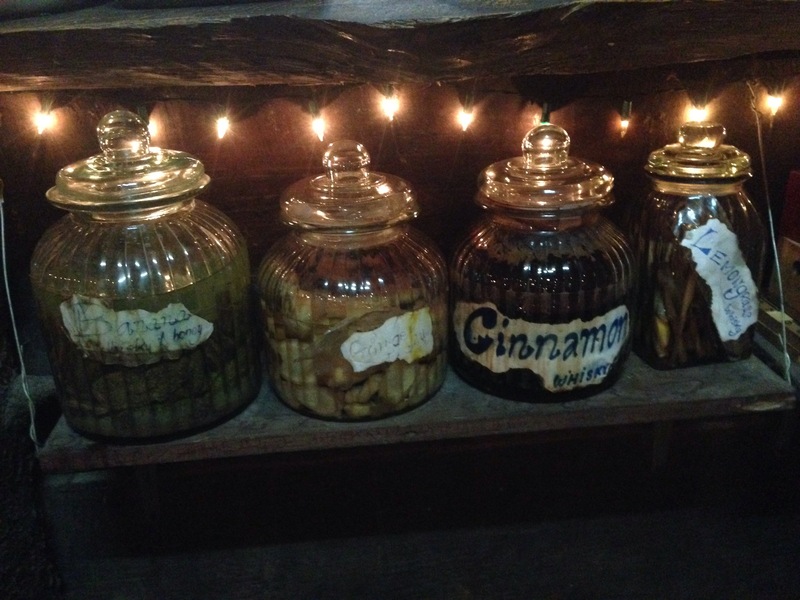 Some bars and restaurants make and flavour their own stuff. The base alcohol is usually rice wine, vodka or whiskey. They then mix this up with a load of fresh fruit/ spices and sugar, then leave it to flavour. The results are surprisingly good. I think I will definitely try this at home. 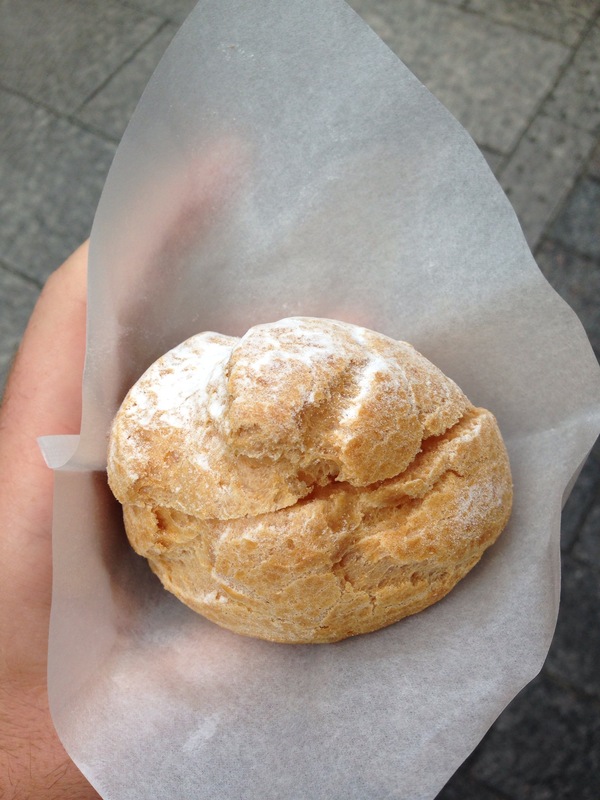 I loved Japan for lots of reasons, but especially because of the food. Saying it was amazing would be an understatement. 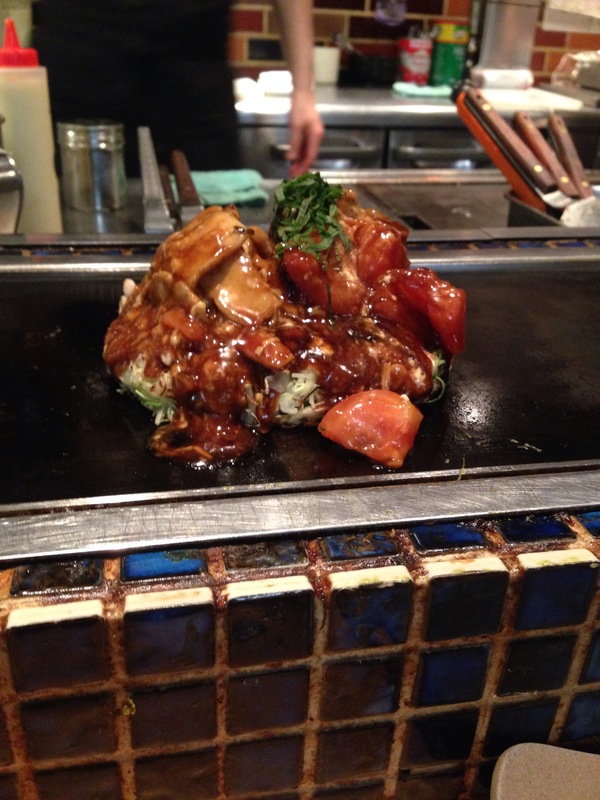 Not only does it taste great but it also often looks like a masterpiece. 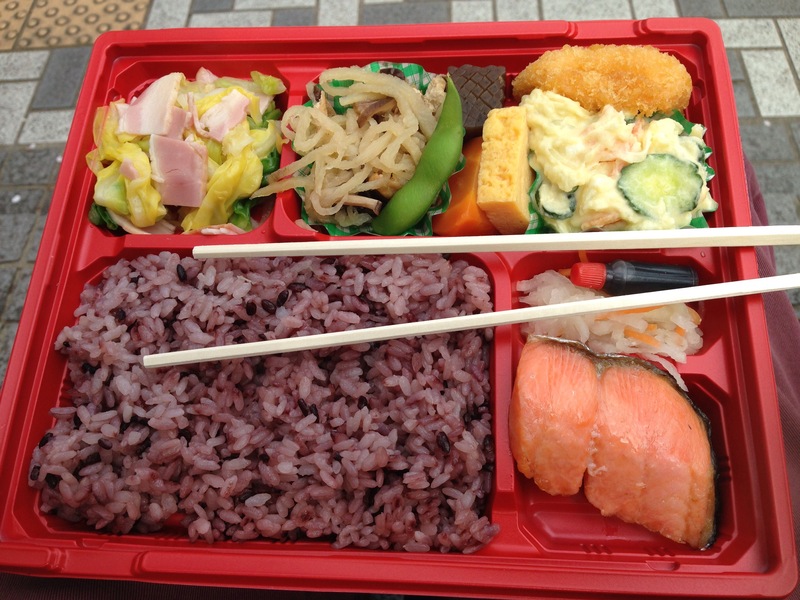 Take a bento box for example- all the food neatly arranged into little sections and it is so colourful you could mistake it for paint pallet. Every time we left a restaurant we beamed with satisfaction. 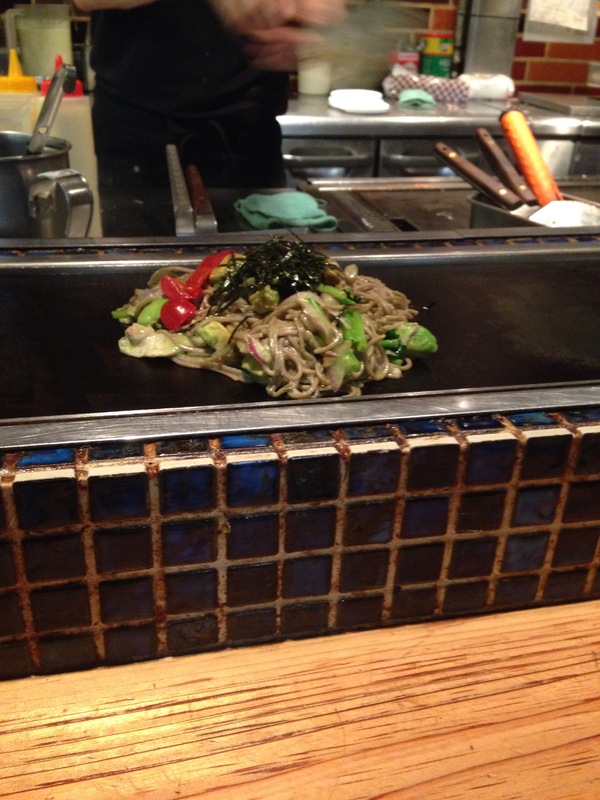 Every time we had the pleasure of watching our chef cook in front of us on a huge sizzling hot plate, we found it hard not to gawp and dribble in anticipation. Every time we carefully balanced a morsel of food held by precariously gripped chopsticks to our mouth, our faces melted into a look of pure gastronomical ecstasy. 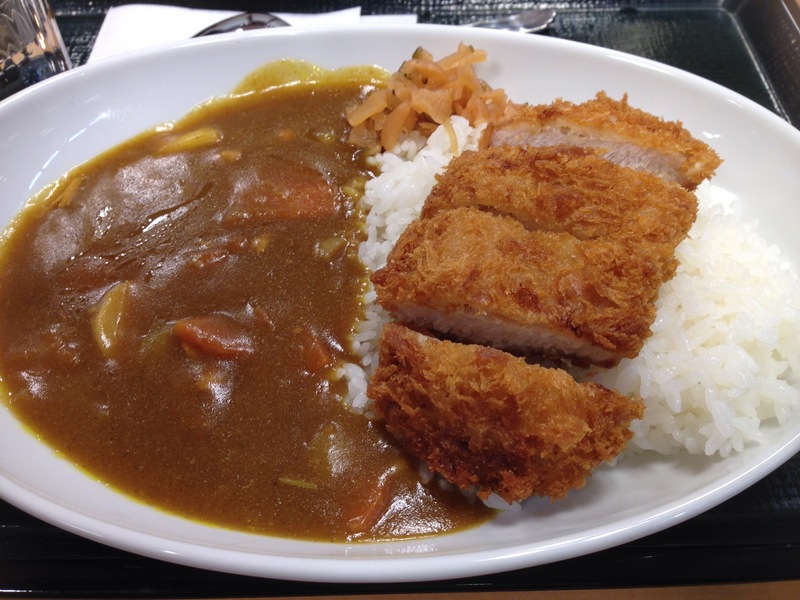 Basically what I’m trying to say is that Japan is a food lovers heaven. 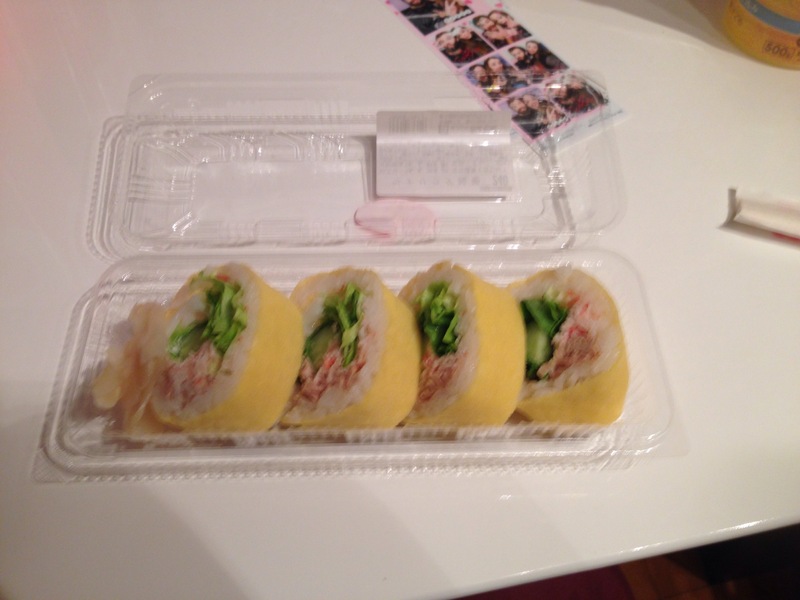 Here is just a taster (pardon the pun) of what we ate during our stay. 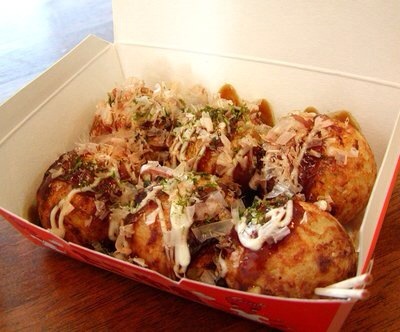 Every city has streets lined with quick, cheap and easy fast food. It’s all delicious and a must try. Is this the future of burger eating?